卓玛央金, 杨晓东, 多吉卓玛, 徐慧梅, 李海东, 扎西卓玛, 王剑, 杨贵荣, 周红宁, 龚正达. 西藏自治区蚊虫分类与区系研究Ⅱ.巨蚊属、尤蚊属和直脚蚊属及其物种在西藏自治区首次发现[J]. 中国媒介生物学及控制杂志, 2018, 29(6): 625-627. ZHUOMA Yang-jin, YANG Xiao-dong, DUOJI Zhuo-ma, XU Hui-mei, LI Hai-dong, ZHAOXI Zhuo-ma, WANG Jian, YANG Gui-rong, ZHOU Hong-ning, GONG Zheng-da. Taxonomy and fauna of Culicidae in Tibet Ⅱ. 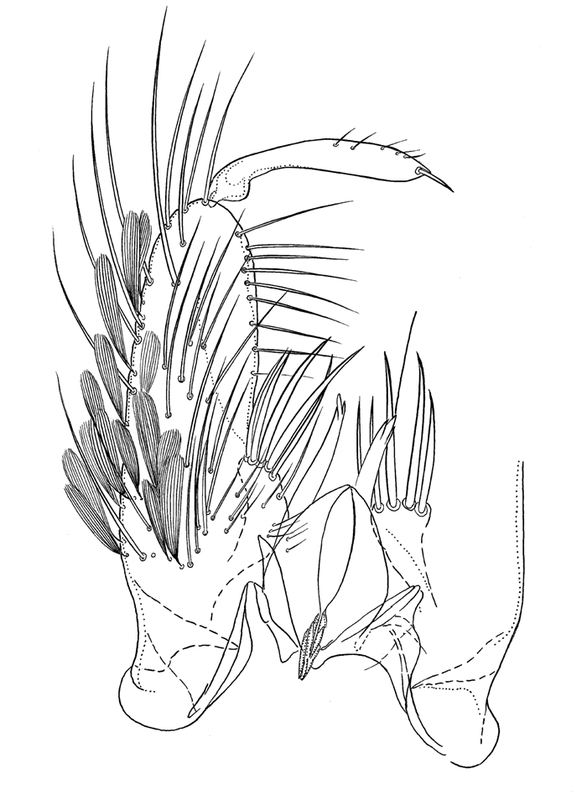 First discovery of genera and species of Toxorhynchites, Udaya, and Orthopodomyia from Tibet[J]. Chin J Vector Biol & Control, 2018, 29(6): 625-627. Corresponding author: GONG Zheng-da, Email:gongzd@126.com. Abstract: Objective To investigate and understand the fauna of mosquitoes in Tibet autonomous region. Methods Mosquito larvae of various breeding habitats in southeastern Tibet were investigated and sampled. 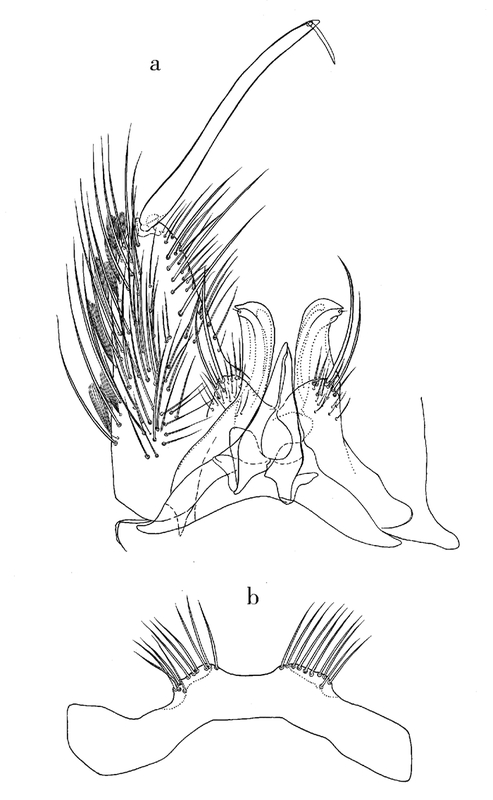 Results Genus Toxorhynchites, Udaya, and Orthopodomyia, and species Toxorhynchites gravely, Udaya argyrurus, and Orthopodomyia pheloides were first found in Tibet. They are all new records of mosquitoes in Tibet. 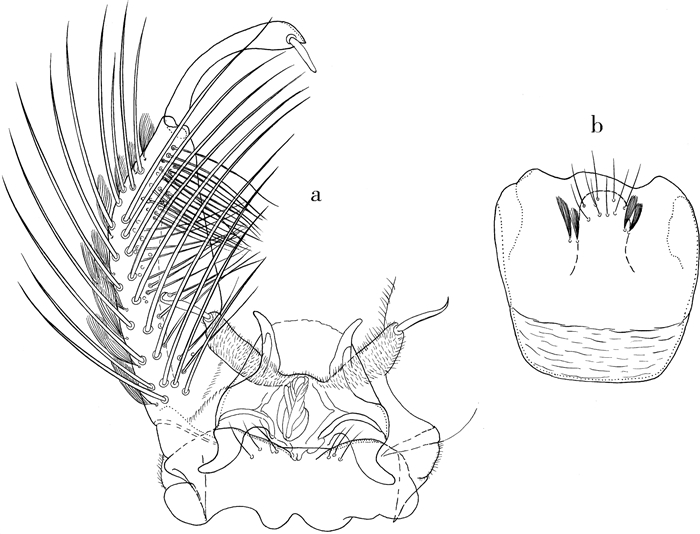 In this paper, the main morphological characteristics, distribution area, breeding environment of the three genera and species, and the morphology of male genitalia with the physical specimens are described and reported. Conclusion Due to the relatively low altitude, abundant rainfall and complex climate and environment in southeastern Tibet, mosquitoes are abundant. With the further investigation of the fauna, the genus and species richness of mosquitoes will undoubtedly increase further. 陆宝麟. 中国动物志.昆虫纲.第8卷.双翅目:蚊科(上卷)[M]. 北京: 科学出版社, 1997: 56-566. 薛群力, 邓波, 丁浩平, 等. 西藏地区蚊虫种类和分布及其与疾病的关系[J]. 中华卫生杀虫药械, 2009, 13(6): 508-509. 郭玉红, 刘起勇, 尹遵栋, 等. 西藏林芝地区蚊媒初步调查研究[J]. 中国媒介生物学及控制杂志, 2010, 21(4): 300-302. 董学书, 周红宁, 龚正达. 云南蚊类志(下卷)[M]. 昆明: 云南科技出版社, 2010: 1-389. Harbach RE, Howard TM. Index of currently recognized mosquito species (Diptera:Culicidae)[J]. Eur Mosq Bull, 2007, 23: 1-66. 龚正达. 卢卡尤蚊和长须阿蚊在我国发现[J]. 四川动物, 1994, 13(1): 17-18. Knight KL, Stone A. A catalog of the mosquitoes of the world (Diptera:Culicidae)[J]. Maryland Ent Soc Am, 1977, 6: 1-611.